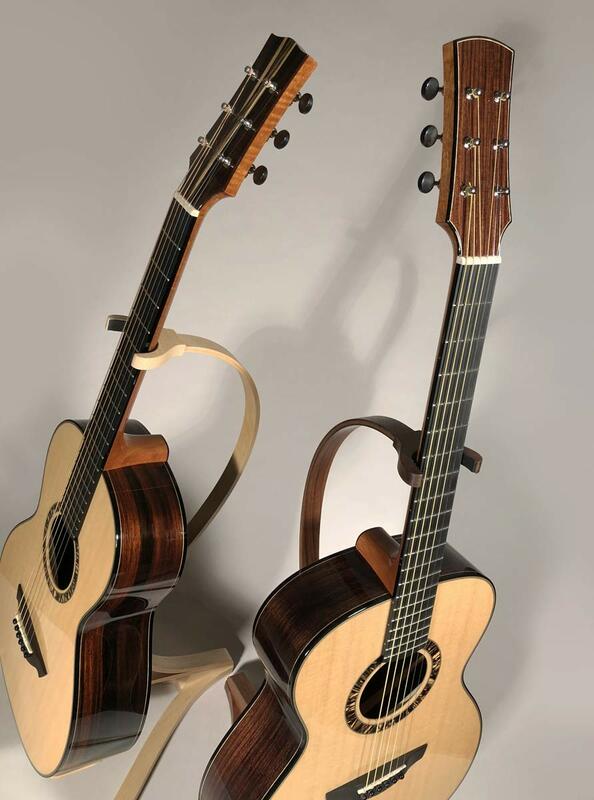 The voice of a guitar is the culmination of wood materials used along with knowledge, skill and intuition of the maker. 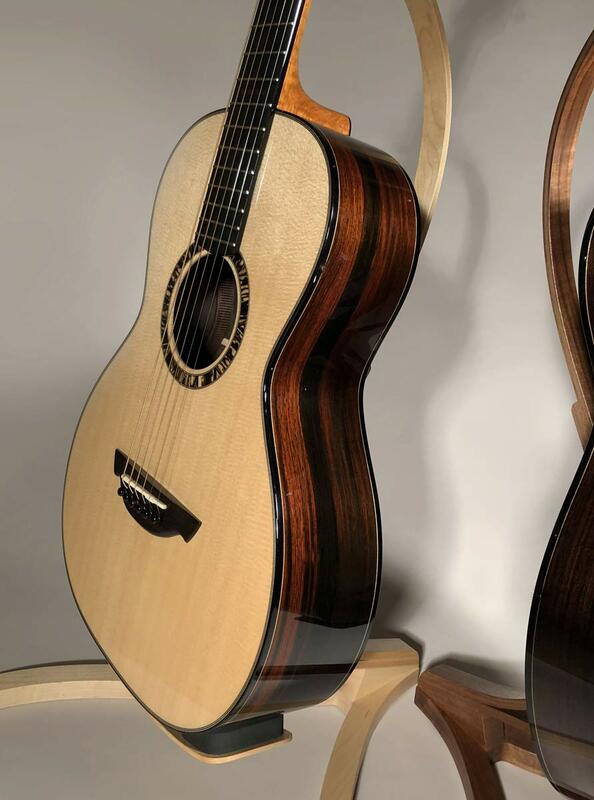 Every Urlacher Guitar is made by me; one at a time with the highest level of attention to detail from start to finish. 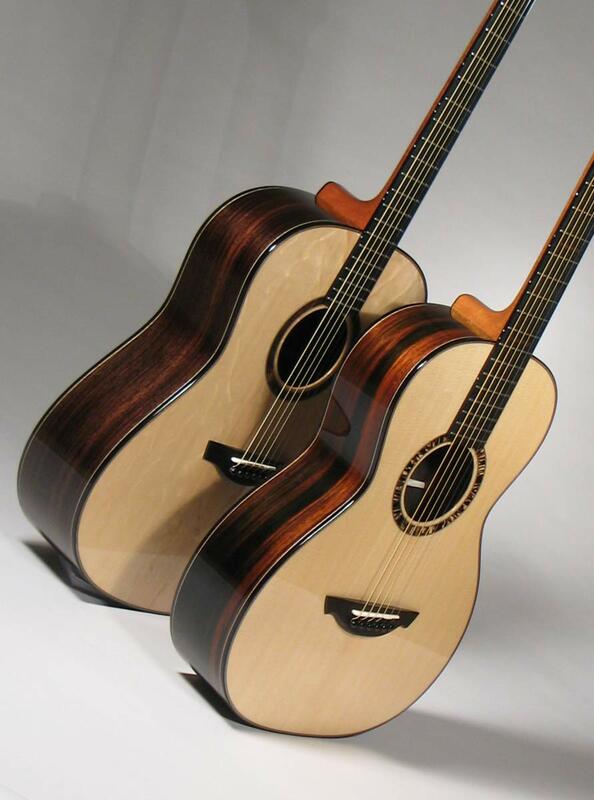 I focus on custom build quality rather than producing a large number of guitars. 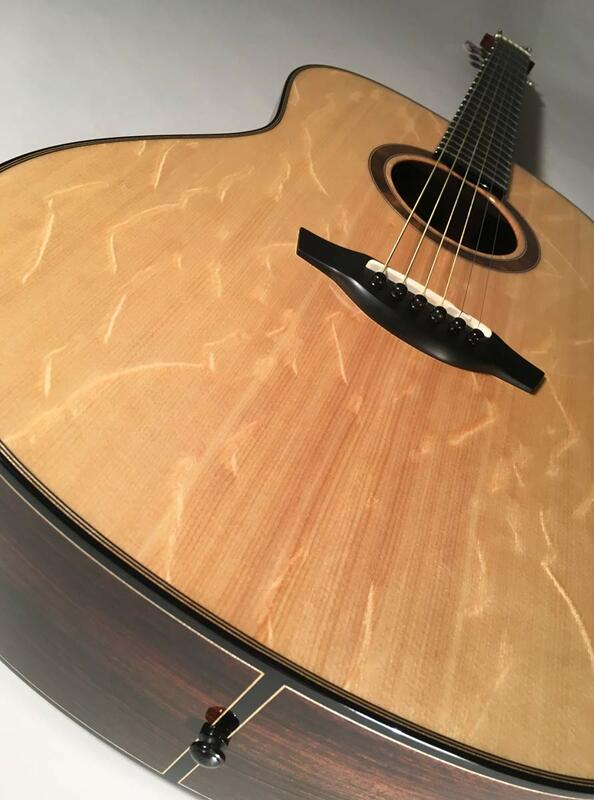 The art of lutherie is a lifelong passion that combines my background in Fine Arts and my love for music. 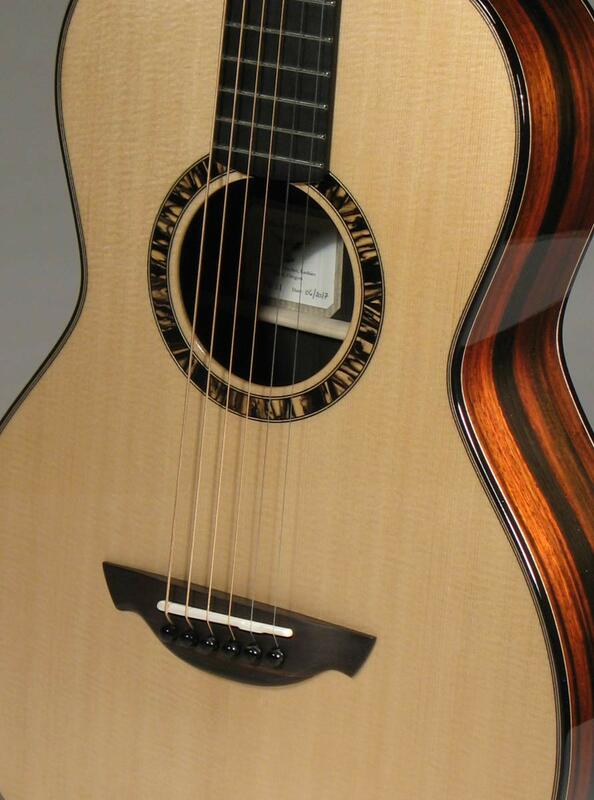 If you are interested in commissioning a handcrafted guitar or have any questions, please feel free to contact me. 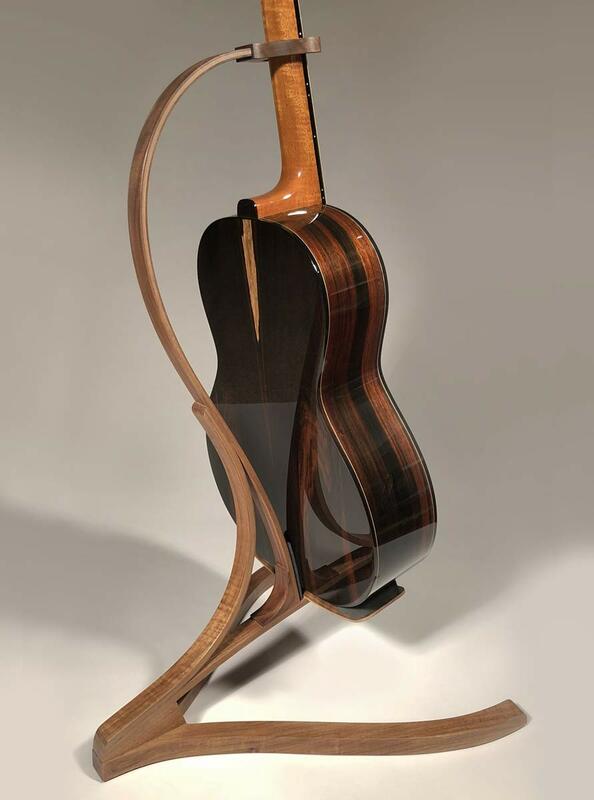 This handcrafted wood guitar stand is lightweight and it’s thoughtful design shows virtually all of the guitar from any angle. Your valued instrument rests securely on a cradle form, there is no danger of swaying or stress to the neck from hanging. Our stands are individually handcrafted with the same high level of skill and precision that is required for guitar building. Please visit the Bellezza Guitar Stands page for more details.